Producing the Iconography involved a number of stages: first the drawing of the portrait, then a grisaille oil sketch, and finally either the etching or engraving of the print. 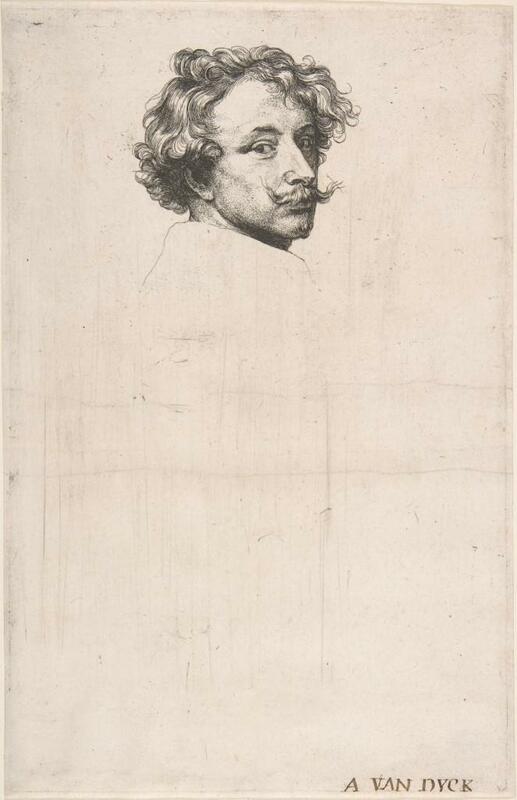 Van Dyck’s prints in the Iconography are etchings, but the other prints in the collection are all engravings. Both etching and engraving are types of intaglio printing. In both techniques incisions are made into metal (usually copper plates). To create an etching the plate is covered with an acid-resistant substance. The design is then drawn into this coating, exposing the metal beneath. The plate is immersed in acid, which ‘bites’ the exposed metal. The depth of the incision is controlled by the length of time for which the metal is exposed to the acid. In contrast, in engraving, engravers cut directly into the metal plates using a sharp tool known as a burin or a graver. While etching closely resembles drawing, engraving is a specialist skill. Its adoption by most of those involved in the creation of the Iconography reflects their training as professional print makers. The use of durable metal plates allowed for changes to be made to designs, resulting in a series of different ‘states’ in the surviving prints. Most famously, the title page to the Iconography is made up of a self-portrait of Van Dyck’s head, which was transformed into a bust on a pedestal by Jacques Neeffs. Once the plates have been cut they are carefully inked so that the ink only fills the incisions. This means that great pressure has to be applied in the press, forcing the paper into the ink filled incisions, so that the ink transfers to the paper. As a result of the pressure applied in the press the edges of the plate are often visible as an indentation in the surviving print, which is known as a plate-mark.